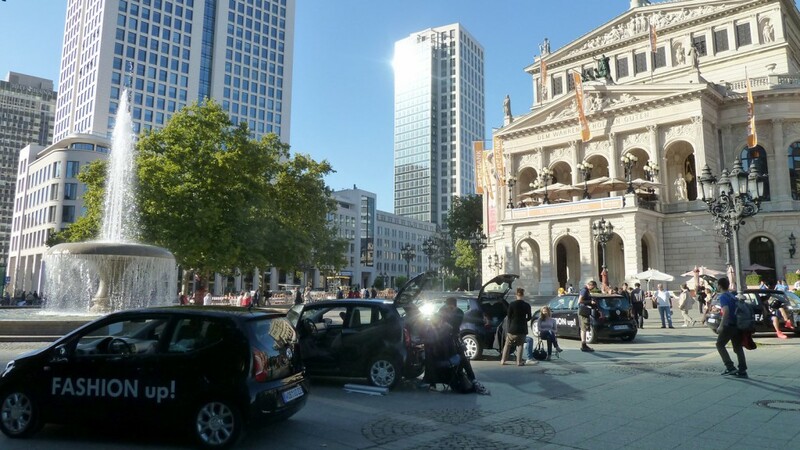 With numerous guerilla activities and special installations in public spaces throughout Frankfurt, Volkswagen presented its new “town car” to its customers. 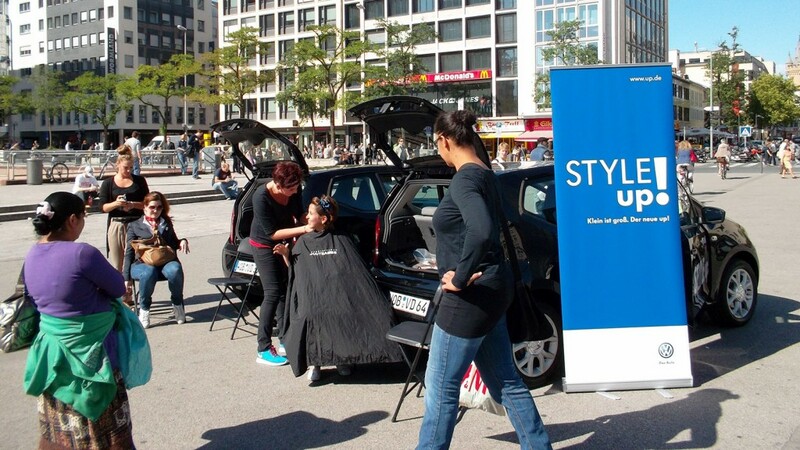 Prominent locations for the promotion activities were also found: Frankfurt Airport, Frankfurt Central Station, the Hessen Center and the “MyZeil” shopping mall. Thus we developed the “up! Moments” format in which thematically styled “up!” models suddenly appeared in town and invited people to take part in spontaneous activities. When the promotion was opened, there was also a presentation of the “up! Fashion” collection featuring Jorge Gonzales of “Germany’s next Topmodel” fame. Not large, but great – that was how Volkwagen’s “up!” was to be presented at its world premiere at the IAA in Frankfurt. The challenge was to provide visitors in Frankfurt with a striking experience of the “up!”, enable them to share in its “smiling face,” and to accentuate the brand label. Together with the Berlin agency Crown&Crown, we designed the extensive promotion campaign “Frankfurt becomes up! Town” and created it with great attention to detail. 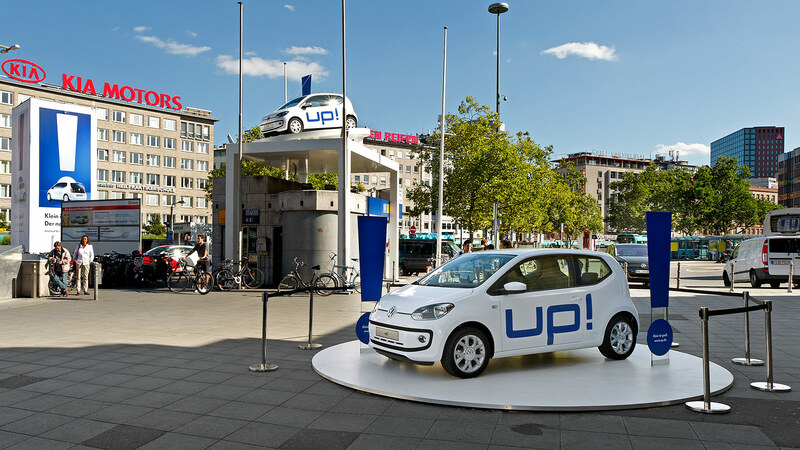 Volkswagen’s “up!” brand label took consumers by surprise at selected moments. Thus we developed the “up! Moments” format in which thematically styled “up!” models suddenly appeared in town and invited people to take part in spontaneous activities. When the promotion was opened, there was also a presentation of the “up! Fashion” collection featuring Jorge Gonzales of “Germany’s next Topmodel” fame. “up!” was strikingly communicated not only during the day but also after dark with the “up!” brand label being displayed in light projections on various façades and at a variety of locations. 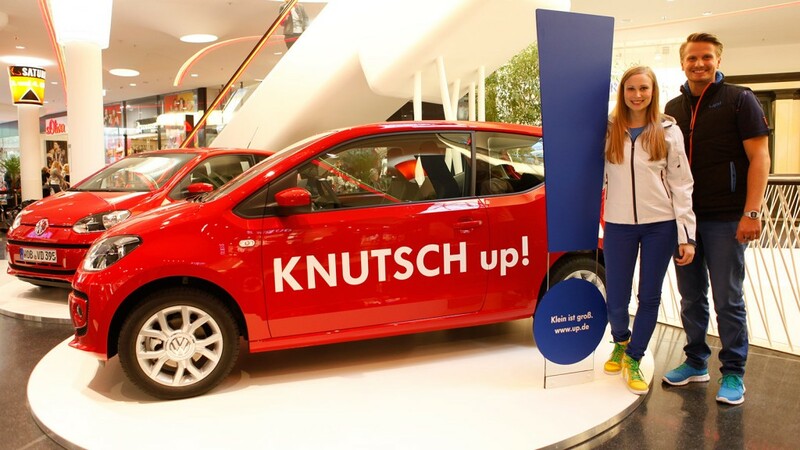 In the run-up to the promotional activities, strategic product and activity training was held in which we motivated more than 60 promoters and team leaders to go full throttle with Volkswagen’s “up!” for two weeks.